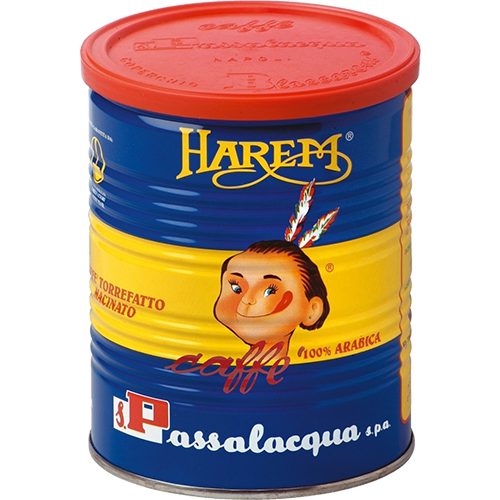 Passalacqua Harem 100% Arabica tincan ground coffee is one of the finest blends in the world. It consists of 10 different Arabic beans including two of the most rare and most valuable coffee beans ever. This blend is, in fact, the flagship of Passalacqua's range and is dedicated to connoisseurs.